According to a recent notification issued by the Road Transport and Highway Ministry, manufacturing, storage and sale of non-Indian Standards Institute (non-ISI) certified helmets for two-wheelers will lead to arrest without warrant. A penalty for the first offense would amount to a two-year jail term or a fine of at least Rs 2 lakh. As this move will be applicable after two months, dealers have a grace period to liquidate their existing stocks. This move comes soon after the introduction of the new ISI standard that was announced last month. Coming into effect from January 2019, the new standard directs helmet manufacturers to limit the maximum weight of their helmets to 1.2kg, instead of the current 1.5kg. According to the transport ministry, the sale of non-standard helmets will be an offense. The new helmets will also specify that they are meant for motorcyclists; this move will reduce the number of bikers who try to bypass the law by wearing ISI-marked industrial helmets instead of helmets designed specifically for bikers. 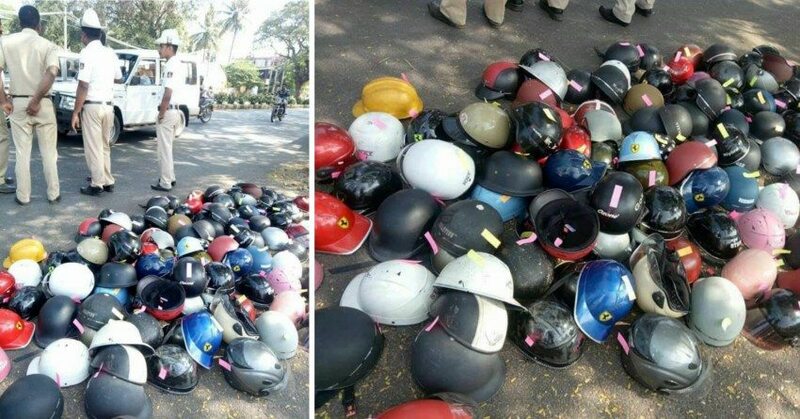 The ruling will put an end to the sale of unsafe non-ISI helmets, which sell for a few hundred rupees. However, this ruling also has its repercussion, with Kapur added that “Even leading international brands who were exporting helmets to India as per European and US standard will now have to adhere to ISI standards. They will not be able to sell otherwise.” This means well-known international brands like Arai, Shoei, AGV and HJC will be illegal till they adhere to ISI standards, despite them already complying with international testing agencies like DOT, ECE, SNELL and Sharp. The government’s move, though well-meant, comes as a damper to a growing number of bikers who are willing to invest in international-spec and better-quality helmets that are safer than the ISI-standard ones.